HOUSTON (AP) Hurricane Harvey made football an afterthought in Houston. On Sunday when they open the season against the Jacksonville Jaguars, the Texans know a city just beginning to rebuild after the storm will be looking for them to provide a boost. The Texans last took the field for a preseason game against the Saints on Aug. 26. They spent several days in Dallas before their last preseason game was cancelled after the storm. Houston looks to extend its winning streak against the Jaguars to seven games in a matchup that will feature the return of superstar defensive end J.J. Watt. He missed the final 13 games of last season following his second back surgery. Watt has become the celebrity face of the storm after a fundraiser he started has raised more than $29 million (and counting) for hurricane relief. He's been overwhelmed by the outpouring of support he's received from around the country and can't wait to play Sunday to help provide the fans an escape. Watt was also quick to note his teammates have also pitched in to help out in the days since the storm. While the Texans move into their season after the storm, the Jaguars will have to leave their family and friends behind to head to Houston as Hurricane Irma approaches Florida. Coach Doug Marrone said they've had long discussions about how the team will deal with it, but declined to provide any details on their plans. READY TO GO? : Jacksonville quarterback Blake Bortles was listed on the injury report (right wrist), but said Wednesday that it wasn't a concern and he'd be ready to go on Sunday. Sunday will be his 46th straight start, and after facing the Texans often he knows Sunday will be another challenge. He tries not to dwell on the things that went wrong in his first three seasons. KICKING OFF: Ka'imi Fairbairn will make his NFL debut after the Texans cut veteran Nick Novak and made him the team's kicker. Fairbairn signed with Houston last season after going undrafted and spent all year on injured reserve. He doesn't expect to be nervous Sunday because of the preparation he's put in since joining the Texans. BOUYE'S RETURN: Cornerback A.J. Bouye signed with the Texans as an undrafted free agent in 2013 and spent his first four years with the team before signing a $67.5 million contract to join the Jaguars this offseason. As he prepared for the first meeting against his former team, Bouye reflected how much going against Houston receiver DeAndre Hopkins in practice every day aided his development. FOURNETTE'S DEBUT: Jaguars running back Leonard Fournette is expected to make his debut after missing the last three preseason games with a foot injury. 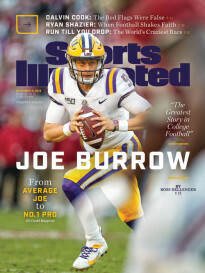 Jacksonville is hoping the fourth overall pick in the draft, who ran for 3,830 yards in his career at LSU will beef up a running game that ranked 22nd last season.